Airport hotel features outdoor pool and whirlpool. 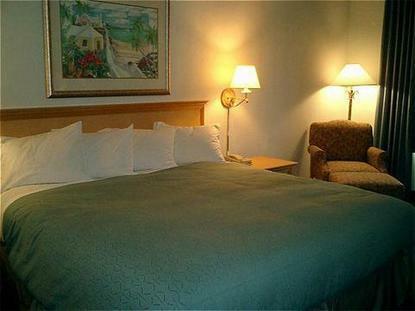 All rooms feature Cable TV, Pay-Per-View, Nintendo access, coffeemaker, iron/board. 1 bedroom suites also feature microwave and refrigerator. Only 3.9 miles from Southwest Florida International Airport. Minutes away from Minnesota Twins training camp, Boston Redsox training camp, Mirmor Outlets, and fine dining.